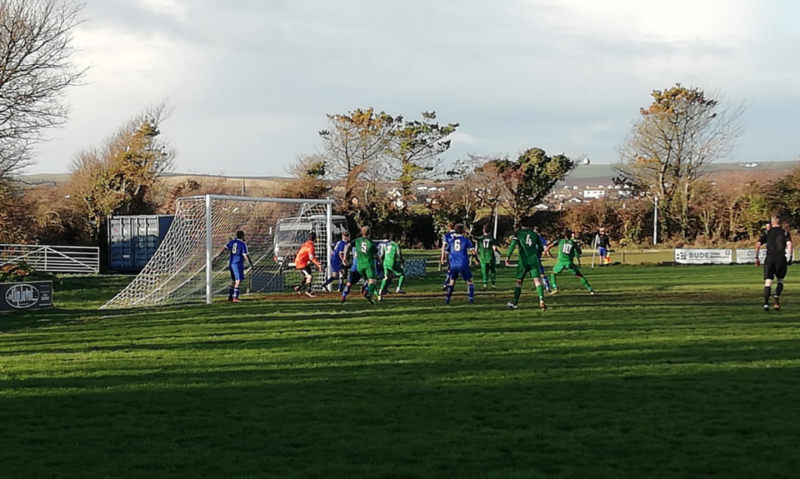 On a bright sunny afternoon in north west Cornwall, second half goals from a Paulo Sousa penalty and a late clincher by Gerens James secured another three points that lifted Mousehole into fifth place in the table. The hosts, perhaps mindful of their seven-goal trouncing at Trungle Parc in mid-October, set up with a deep-lying defensive formation and rarely ventured forward to threaten The Seagulls’ goal. They frustrated The Seagulls’ attack on countless occasions and may feel satisfied by the scoreless first half and a mere two-goal margin of defeat, after blocking several attempts in front of goal and clearing off the line, as well as surviving a couple of hair-raising ‘own goal’ near-misses. Despite dominating proceedings throughout, with swift crisp passing taking them regularly into the final third, Mousehole took until the 58th minute to open the scoring. The energetic and dangerous Hamza Kaid twisted and turned inside the box only to be brought down for an obvious penalty, with Paulo Sousa’s low spot kick just evading goalkeeper Gary Dinshaw’s dive. With ten minutes remaining and Bude beginning to think about the possibility of snatching an unlikely draw after a half chance following a set piece, Gerens James added to his season’s impressive tally with a much needed second goal, chesting down Kevin Nicholson’s excellent left wing cross and volleying inside the post from 12 yards. Mousehole travel to St Blazey this Saturday (26th), kick off 3pm, looking to make amends for their unexpected 1-0 home defeat at the end of September. Since then St Blazey, now in their second season after relegation from the Premier Division, have won only three of their eleven league matches – two of those against Bude and Ludgvan – and currently sit fourth from bottom of the table. 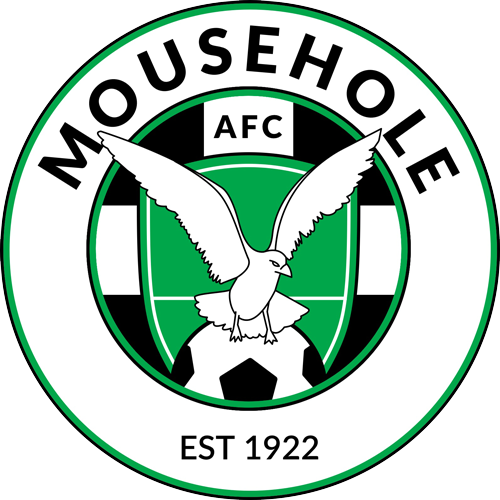 Mousehole v Bude Town: Jason Robertson, Tyler Tonkin, Billy Curtis (captain), Ben Williams, Kevin Nicholson, Steve Burt, Lez Cela, Paulo Sousa, Hamza Kaid, Gerens James, Dan Omosebi. Substitutes: Liam Andrew (for Tyler Tonkin 56), Hermann Niamke (for Dan Omosebi 62), Callum George (for Steve Burt 83), Tom Hands, Sam Shulberg. Scorers: Paulo Sousa (pen 58), Gerens James (80). Referee: Richard Butter. Attendance: 77.